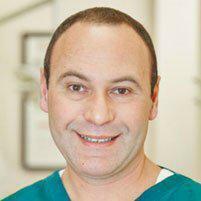 Dr. Leonid Levit always appreciates feedback from his valued patients. To date, we’re thrilled to have collected 32 reviews with an average rating of 4.69 out of 5 stars. Please read what others are saying about Dr. Leonid Levit below, and as always, we would love to collect your feedback. Pleasant great doctor and staff. Much better. Relief finding a comfortable dentist/dental office. Clean,Professional, and Very kind people! Thank you for your great work! It was an emergency visit, yet the service provided was prompt and effective. Dr.Levit is one of the best doctors that has treated me , because if it wasn’t for her I would’ve been left with a loose jaw. Dr. Levit is the best dentist in America!! If it wasn’t for Dr. Levit, I would be left without any teeth.